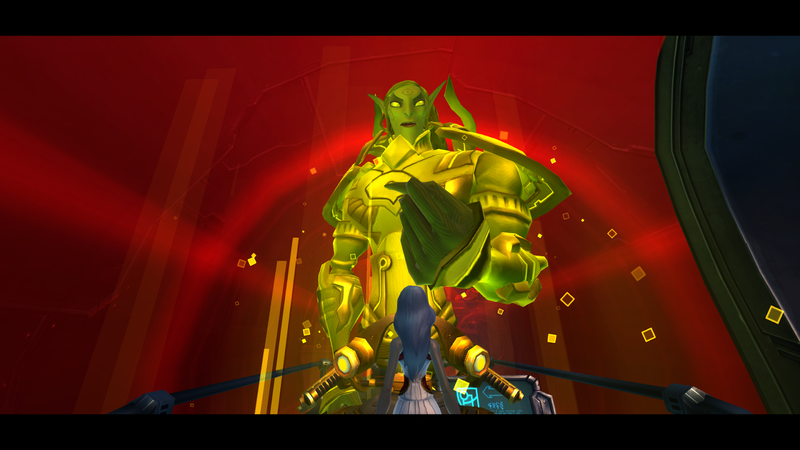 As I mentioned in my last post, I didn't buy Wildstar, I did get a guest pass. I wanted to take advantage of it, to really get a good look at the game. Beta didn't thrill me, so I didn't play much. I still have two days left on my pass and I think I'll be logging in on them. So far I've logged in every day, I wasn't sure how much I'd actually play. So, here's my thoughts thus far. 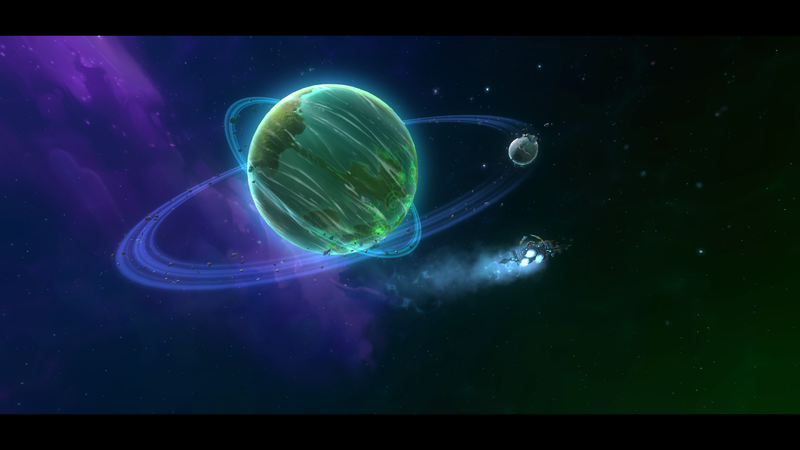 Wildstar is pretty, yet at times there is almost too much going on. The characters look great, but sometimes I wish my characters were not so, I don't know, goofy? Though I do see the humorous edge to the game, I get it. 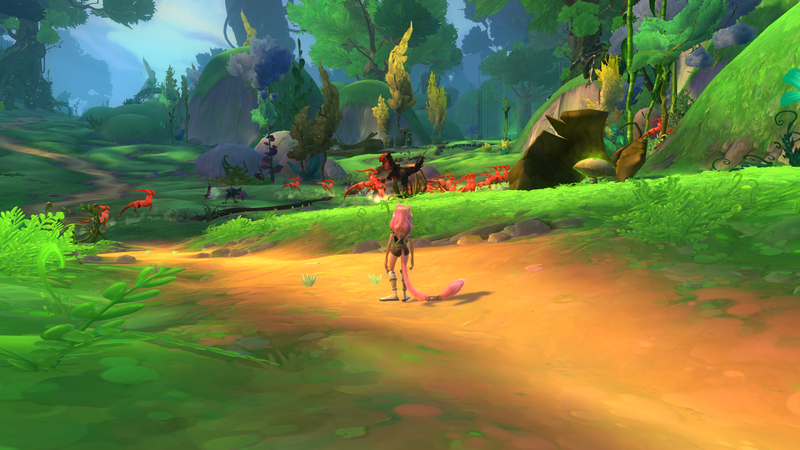 Everything has a theme, a style and Wildstar does this one very well. They are all whimsical and cute, I do appreciate that on the flip side. I've seen some costumes (appearance armor) and mounts, on other players, and I can only rave at how cool they are. I still look like a lowbie twerp though! The world is interesting, it looks good, it has an interesting feel to it. Really great music as well! I've played both sides to about level eight. I only have a few days with this guest pass and I wanted to see both sides. I can't say I prefer one over the other. Both are interesting, colorful, humorous. All the characters have a funny, bouncy way about them. I simply adore double jump. I love games which offer it. Questing has been enjoyable, for the most part. Crafting feels more like an alternative questing direction. I am working on scientist and explorer on each of my classes. 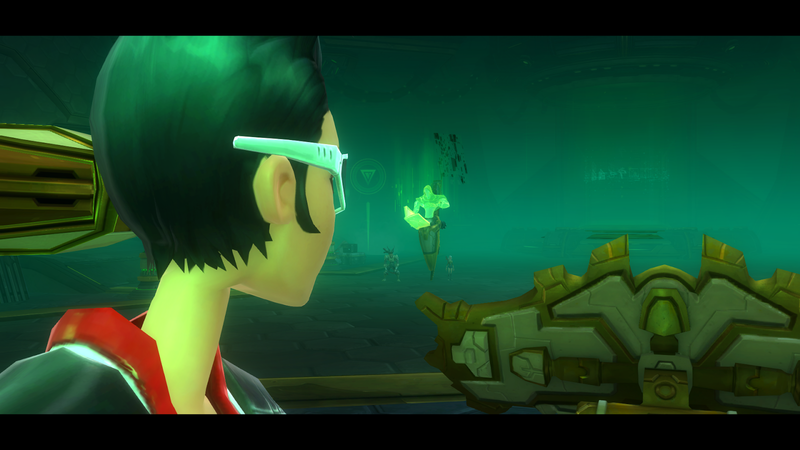 I picked an Esper and an Engineer for the classes. 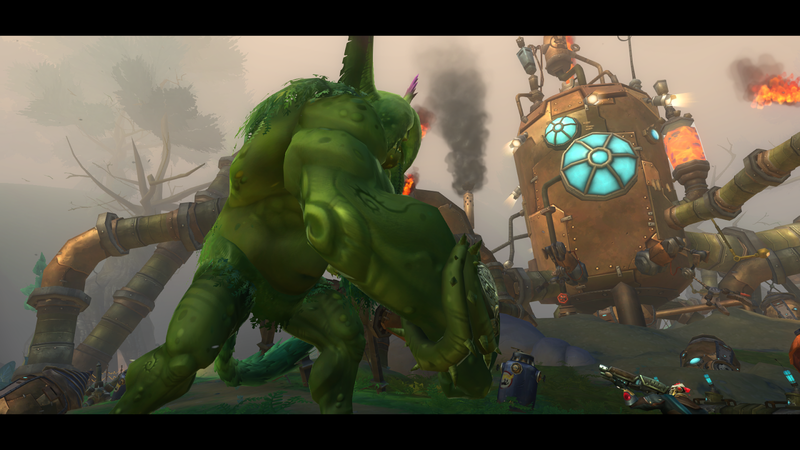 Both have forms of pets, the engineer has more stable pets. Robots to be exact! 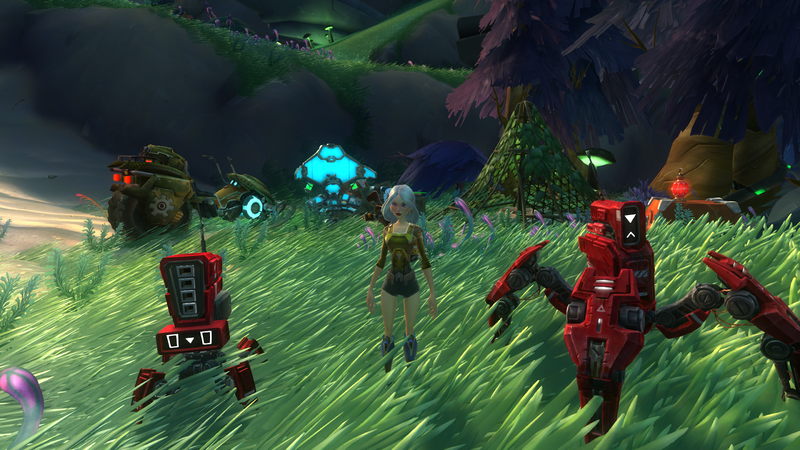 I like having a couple of robots to help me on my adventures, just for the coolness factor alone. Classes, these are interesting. 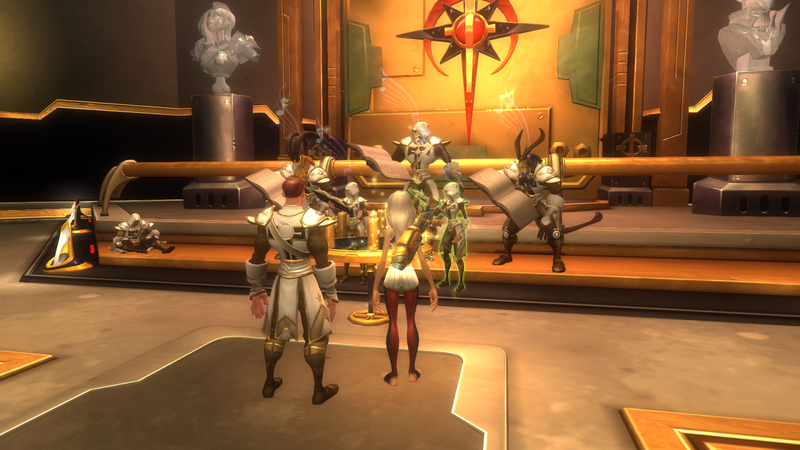 Because Wildstar has some rather unique races, I think locking classes away from certain races is just a bad idea. It sort of dampened things for me. I'd be a lot happier with more options. It just seems like something you'd see in 2005. One thing I am not crazy about is the building up of a resource to use abilities, it works but then again it doesn't give each class a defining feel, they all feel very similar. I did see how many abilities we get, we can swap them out on the fly, but the core mechanics are the same to a deep extent. Races, they are quite nifty. Lots of different styles of faces, body types, a little bit of play with sliders and some fantastic hair options. Oh the hair! Some races get much better hair than others, but honestly this game has some of the coolest options I've seen in a long time. 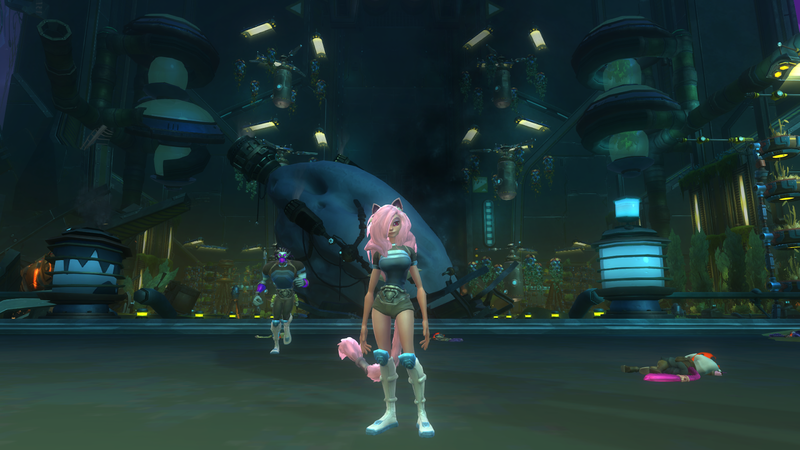 Wildstar, can I take your hair options to all my other games? Puh-lease! Combat. It works, it is smooth, nothing really bad, nothing super impressive either. It just isn't me. I have tried to like it, but I don't actually like it. I don't dislike it either. I prefer a more old school feel to my combat, so do my old wrists. The telemarks are not my thing and in the end it seems kind of childish to me. I'm not saying if you like this style of play that you are childish. More so, it feels like a simplified type of play that I don't enjoy. Too many colors all over, almost gimmicky. It didn't hook me. 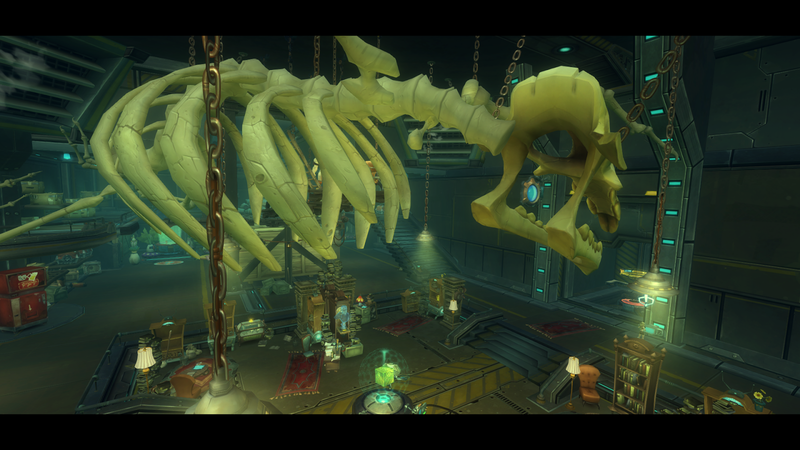 The Wildstar team had a vision of what they wanted and you can see that while playing. 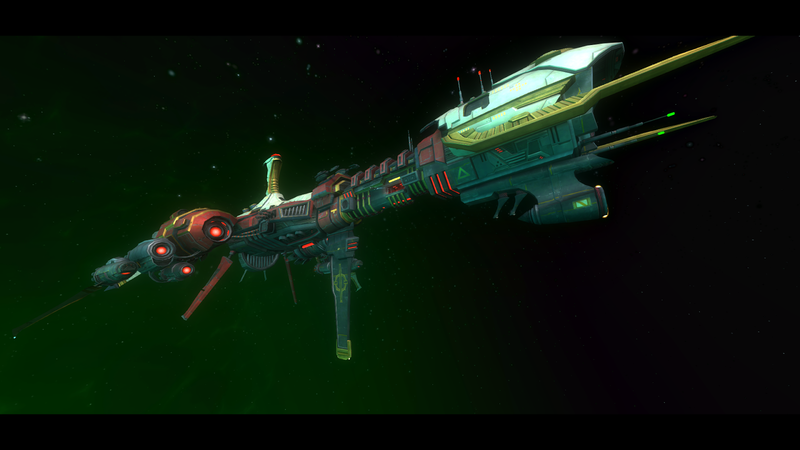 It [Wildstar] has a distinct feel to it, it is very smooth and buttery, like sliding into a well made glove, it is a high quality product, I can't deny that. 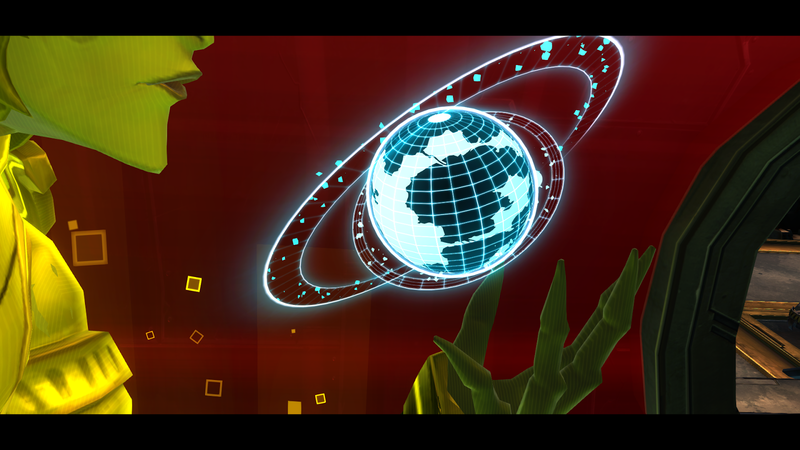 The execution for a silly, spacey, whimsical world was done well. Lots of bright colors, funny characters, it is all done really, really well. It is fun, I really like this game! I think the only thing really holding me back would be end game. The combat is not my cup of tea but I can't say it is the worst ever. Far from it. I'd like to buy it but I am still on the fence. I have two more days of exploring to do though. I doubt I can get to the housing, which is a real shame. There is plenty I think could have been implemented better. But there is also plenty that was done right. No game is, or ever will be, perfect. That's what keeps me playing, because if I sat and complained and picked them all apart (I do sometimes!) all the time, I'd never play anything. We'll see how I fare over the next two days. 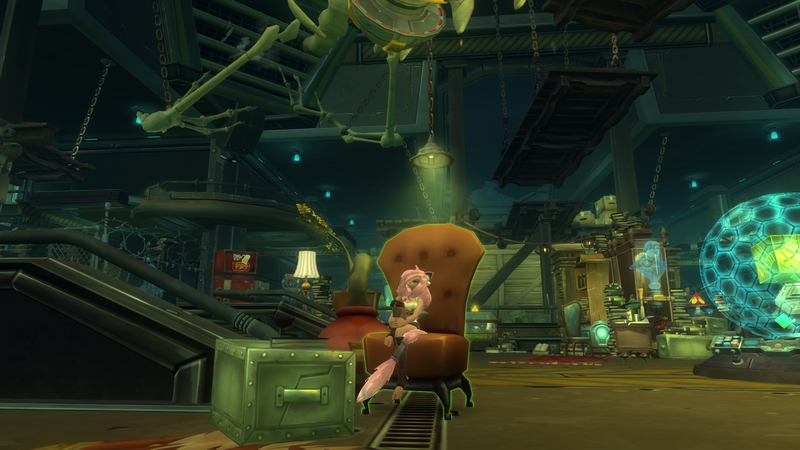 I thank my friends for the passes and offers for them, and a big thanks to Wildstar (Carbine) for the chance to check into the game at release, which was quite awesome!